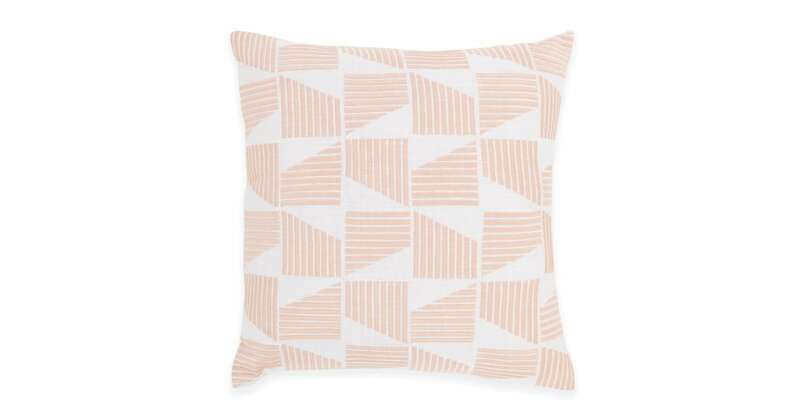 Natall's an embroidered cushion that'll add cosiness as well as cool to your sofa or bed. And, its embroidered details are 3D – more to love. Repeating line shapes make up Natall's Aztec-style pattern, perfect for adding energy to an otherwise simple surface. Choose from pink, blue or mustard. Or, go for all 3 and curate a mix-and-match look.